Soft, pleasant hues and strong materials make this a timeless and functional outdoor set that brings peace and comfort to the outdoors. Product Description On Holiday. Expand your outdoor space with the Jacques outdoor living set. Decorative and functional, your guests will never want for a more comfortable seat. You can make the outdoors as appealing as your home’s interior with a naturally appealing woven wicker, accented by soft weather-proof cushions, this set offers organic beauty suitable for any outdoor space. 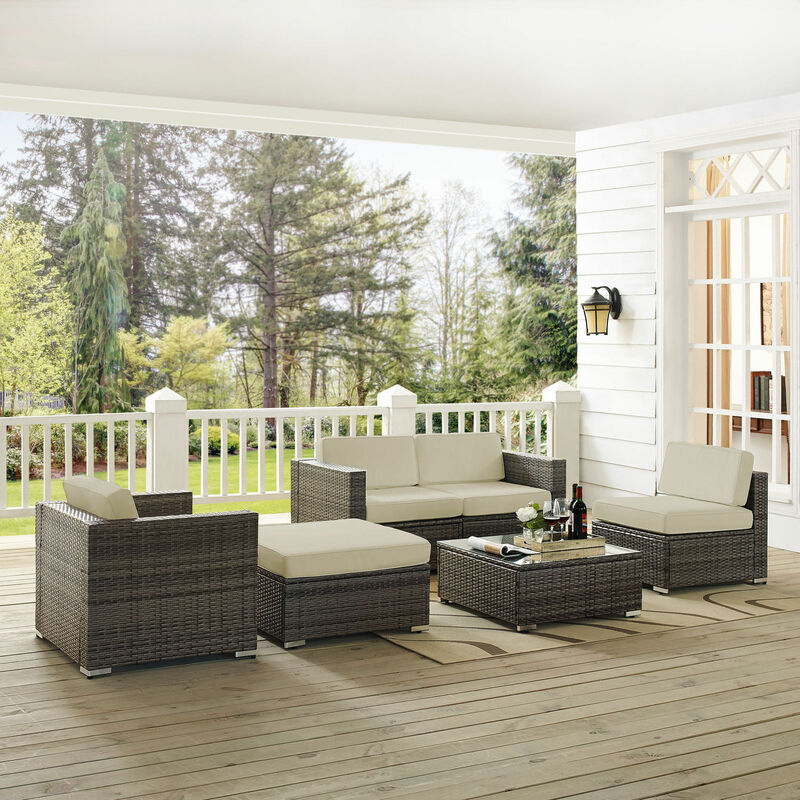 Use the set as shown, or create your own seating configuration to meet your patio entertaining needs. Customer assembly required. Unique Features: Robust wicker exterior for dependable endurance in every season. Good for entertaining, from morning coffee to happy hour cocktails.